Lindenhurst Garage Door Repair & Installation | Overhead Garage Door Inc. The natural surroundings and tranquil setting of Lindenhurst make it an idyllic place to call home. Residents reflect the community’s motto of “Developing Today for Tomorrow” in the pride they take in maintaining their homes and businesses. If your garage door becomes damaged or broken, it can lower the value of your property and become a sore spot in your neighborhood. Call Overhead Garage Door Inc. whenever you need garage door repairs in Lindenhurst. Overhead Garage Door Inc. is an industry leader. As a certified dealer of Clopay Garage Doors, we provide homeowners and businesses in Lindenhurst with the finest quality products, best service, and superior overall quality. Our enduring mission is to meet and exceed your expectations for your home or business improvement project while maximizing the aesthetic appeal of the finished product. Clopay offers its customers an exceptional variety of customizable styles so that you can create the garage door that meets your every need. Trust your garage opener or door installation to our experienced professionals. Our technicians are highly trained to install any of our products, and they make much-needed repairs promptly and affordably. They are also knowledgeable and courteous, in addition to being totally dedicated to giving Lindenhurst customers total satisfaction in our services. 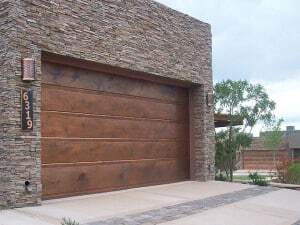 Whether your garage door has sustained major damage from extreme weather, cosmetic wear and tear, or total loss of functionality, you can trust Overhead Garage Door Inc. to make it as good as new. Before we perform any repairs on your door, we will arrive on time and inspect the problem completely, providing a comprehensive estimate for our services. Need repairs in a hurry? Our technicians are on call around the clock for emergency service. Product Lines: Business owners and residents of Lindenhurst alike are encouraged to check out our entire product line, listed below. We hope you can help you with your garage door needs and help you reach your home improvement goals. Show your pride in your home and in the Lindenhurst community—call us today! How do I start, door froze shut and when I pushed the button, the bracket that lifts the door ripped altogether off the door. I thought I was in for a huge repair and would not only be late for work but Overhead door assured me everything would be alright. Normally when a repair company tells you that, it means everything will be alright at some exorbitant cost and I was immediately worried. Bob B. showed up within the hour, with some torpedo looking heater thing, glued a board to the top panel, reattached the door with a little adjustment and viola, I made it to work before my boss! Great job Bob.